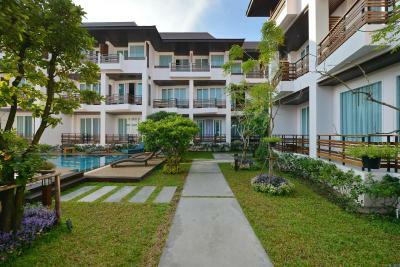 Lock in a great price for Le Patta Hotel Chiang Rai – rated 9.3 by recent guests! The staff was friendly and accomodating. The rooms were spotless. The quality of breakfast and location near night bazaar. The staff were enthusiastic. They were keen to service on any matter. Clean and spacious room with all amenities and free daily mini-bar. Great hospitality from professional and friendly staffs. Great varieties of breakfast offerings and tasted great. 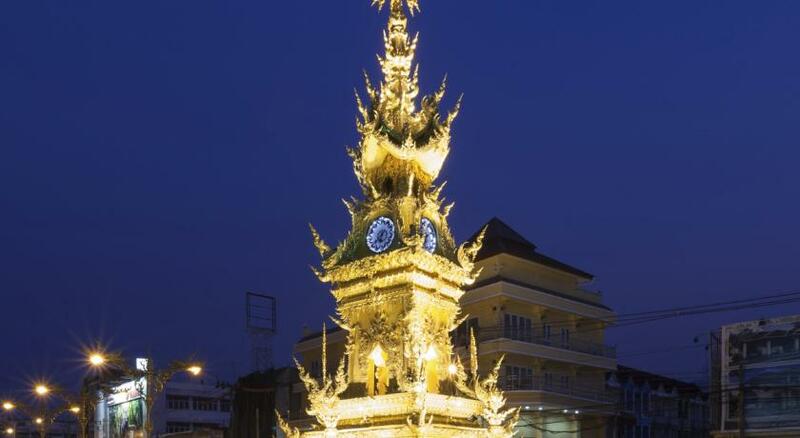 Location is also great, situated in the city center, close to clock tower & Chiang Rai Nigh bazaar. The hotel is in the city center. It’s very close to the bus terminal 1 and the night bazaar. The location is great. The room is clean and comfortable. The staff was very helpful. Le Patta offered complimentary bus station pickup. The buffet breakfast was very good. They had cook-to-order eggs and a big variety of Asian foods. This hotel is wonderful, it felt like a mini luxurious resort of the kind you find in the southern islands of Thailand, but situated in the middle of this small city- we did not expect that at all. The staff, hotel upkeep and room comfort were all top level, one of the best we had in our entire trip - and that includes some very expensive and high rated hotels and resorts. The room was very good and the hotel is well maintained. Staff are very kind, polite and eager to serve. Surprisingly good for its price and location in a small and off-center city like Chiang Rai. Almost everything about this property was perfect, from the comfortable room, to the cheery staff, to the excellent location. The staff were helpful. Birthday decoration and card much appreciated. Le Patta Hotel Chiang Rai This rating is a reflection of how the property compares to the industry standard when it comes to price, facilities and services available. It's based on a self-evaluation by the property. Use this rating to help choose your stay! Offering outdoor pool and a restaurant, Le Patta is 350 feet from Saturday Night Walking Street. It features rooms with free Wi-Fi and a private balcony. 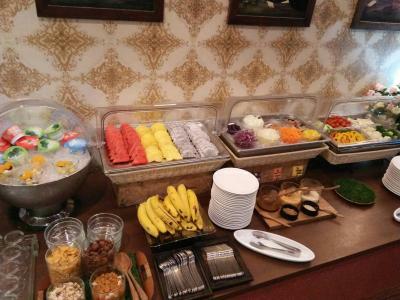 Guests enjoy welcome fruits. 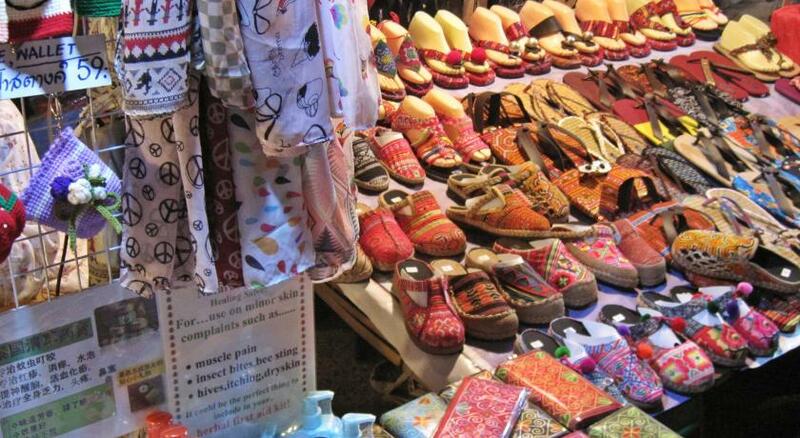 Le Patta is located 650 feet from Chiang Rai Old Bus Station, Clock Tower and Night Bazaar. Mae Fah Luang-Chiang Rai Airport is 4.3 mi away. On-site parking is possible. All rooms are equipped with air conditioning, a flat-screen cable TV and free mini-bar. An electric kettle and a fridge are included. Featuring shower facilities, an private bathroom comes with free toiletries. Some rooms have a DVD player. Guests can make use of the fitness center or explore the city and its attractions with help from the tour desk. A laundry service is also available. The property also has a 24-hour security service and CCTV. Guests can enjoy a bicycle rental service on site while staff at the property can help guests arrange one-day trip. The on-site restaurant offers both Thai and Western favorites. This is our guests' favorite part of Chiang Rai, according to independent reviews. 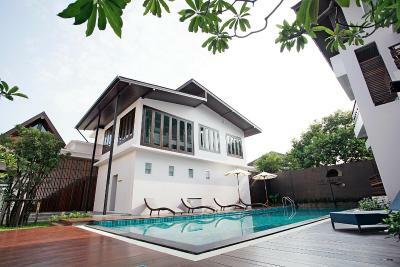 This property also has one of the top-rated locations in Chiang Rai! Guests are happier about it compared to other properties in the area. This property is also rated for the best value in Chiang Rai! Guests are getting more for their money when compared to other properties in this city. When would you like to stay at Le Patta Hotel Chiang Rai? Air-conditioned room offers a private balcony and an private bathroom with free toiletries. It includes a flat-screen cable TV, a safety deposit box and a mini-bar. This air-conditioned room offers a seating area, a private balcony and an private bathroom with free toiletries. It also includes a flat-screen cable TV, a mini-bar and an electric kettle. A DVD player is provided. Featuring a private balcony, this twin room has a balcony, mini-bar and a flat-screen cable TV. The private bathroom provides free toiletries. This twin air-conditioned room offers a seating area, a private balcony and an private bathroom with free toiletries. A DVD player is provided. It also includes a flat-screen cable TV, safety deposit box and a mini-bar. Suite features a balcony and a 32-inch flat-screen TV in the living room. The bedroom comes with a 42-inch flat-screen TV and Blu-ray player. A bathtub is included in a private bathroom. Guests enjoy complimentary mini-bar. House Rules Le Patta Hotel Chiang Rai takes special requests – add in the next step! One child from 7 to 11 years is charged THB 625 per person per night in an extra bed. One adult is charged THB 750 per person per night in an extra bed. Le Patta Hotel Chiang Rai accepts these cards and reserves the right to temporarily hold an amount prior to arrival. The property provides surcharged airport shuttle services. Guests are kindly advised to inform the property 3 days prior to the arrival date. Contact details can be found in the booking confirmation. Nice place right in the centre of Chiang Rai. Comfortable and spacious room. Comfortable bed and pillow (believe me it's utterly important). There are those little things that make your stay really good: slippers, clothes dryer on the balcony etc. The hotel has a pool, it's really nice to have that option, our son used it on a daily basis. The restaurant on the territory is actually pretty great not only for a breakfast but for other meals too. And staff at the hotel is very friendly and helpful. Thanks a lot to them. Nothing to dislike....Perfect city centre hotel. Chiangrai is not an attractive city. Dirty, polluted and crowded, but there are interesting attractions in Chiangrai and northern Thailand . Bed was hard, so did not sleep well. Location and quality of the premises l The staff were excellent. Pool and garden were well looked after. Trained reception staff not helpful, in the end so frustrated needed to speak to the manager. Wrong information given out about taxi..... told a tripwhich just costed 60 Bhat on the meter would be over 200 and needed to pay 20 Bhatt if they called for one for us. They were unaware we are frequent visitors every 6 weeks or so to Chiang Rai not one off visitors !! and for a Tuk Tuk. Told to go and find one yourself near the night market When asked if possible for a later (2 hours) check out reception pointed to the notice. When asked to speak to the manager I was told 2 more hours was not a problem. Reception girl sour faced. 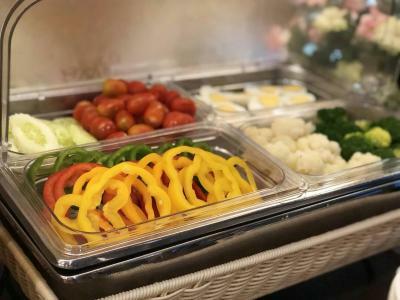 If this was a cheaper hotel I would not expect the breakfast dishes (Asian dishes) to be kept warm but as this is one of the most expensive hotels in the centre of Chiang Rai I would have expected better. So opted during our 6 day stay just for the eggs and bacon.Tea not good coffee so so. Old and Overpriced. Considering many new hotels in Chiang Rai, this is not a good choice if you have a car. Not worth the money to stay here just for location close to night bazaaar. Not quite understand why it get high review score. This is an average hotel. The location is excellent within easy walking distance of the night market, the fantastic clock, the flower festival and lots of Wats. The hotel is clean and comfortable and there are plenty of smiling, friendly staff. I can't complain about anything, really. Pretty much everything - the hotel was clean and modern, the room was spacious, the shower was great, the breakfast was delicious, and staffs are attentive. Personally I think the price was a bit high compared to other places near by, but it was all worth it. The room has a little balcony with a table and chairs, which was really nice. The complimentary minibar was a great bonus, too.